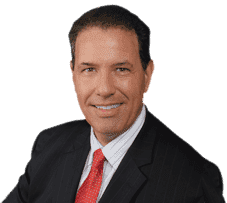 The Coconut Creek Injury Attorney you'll want on your side is Robert Gluck from the Law Offices of Robert E. Gluck, P.A. He has been a lawyer since 1989 and specializes in many areas of law. If you've been injured as a result of an automobile accident, falling on someone's property, being injured by a defective product, or other type of accident, he can assist you. Proving negligence is always important in any type of case. Negligence is the legal standard of care one must meet to avoid injury to others. If your Coconut Creek Injury Attorney, Robert Gluck, can prove negligence, he will be able to build a strong case for you and work on getting you the financial compensation you deserve for your injuries and medical care. Upon hiring your Coconut Creek Injury Attorney, they will launch a complete and full investigation into your accident. They will start by locating any witnesses to get their statement, secure and preserve photographs and video surveillance of the accident scene, inspect for any property damage, and obtain any other evidence they believe will help you in your case. Your Coconut Creek Injury Attorney's job will not be finished until you receive the maximum compensation you deserve for your injuries. Robert Gluck will work tirelessly to make sure you win your case so your medical bills will be paid and you don't have to stress so you can just focus on healing and moving forward with your life.